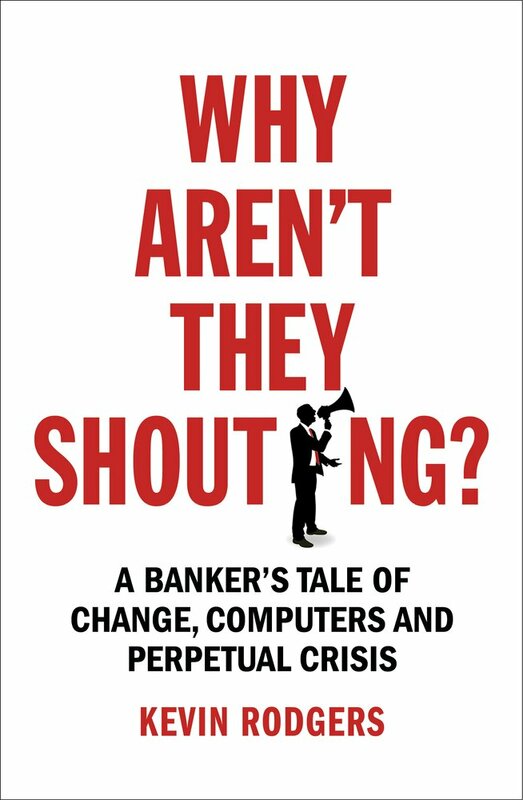 When I wrote my book, “Why Aren’t They Shouting?” I mentioned, in passing, a machine called the Clackatron that had been a solution to a particular problem of automated trading in the very early days of electronic FX. “…but the insurmountable problem came after the computer had identified arbitrages: how could it execute the trades? The only way to trade on EBS or Reuters was to use the keyboard – and computers don’t have fingers. The rules of both systems specifically forbade any such automated trading in an attempt to make their market safer for fallible humans. It was only many years later, while in casual conversation with an official from the Bank of England, that I found out that in the early 2000s, one bank, Lehman Brothers, had created an ingenious, if slightly ethically dubious, solution to these problems: they had given the computer some fingers. The ‘Clackatron’, as the collection of mechanical digits was dubbed, was a box-like device that sat above the EBS keyboard. As the computer that it was attached to identified suitable trades, the Clackatron would use an array of metal prodders to press down on the appropriate EBS keys, so creating a rattle of loud ‘clacking’ noises. One minor issue was that the device was against the rules; this meant that it was hidden away in case any visitor to the trading floor from EBS ever saw it. Even more problematically, it had a habit of regularly going a little bit haywire and breaking keypads and so, I was told, the Clackatron’s keepers needed to come up with ever more outlandish excuses to EBS for why they were getting through them at such a lick. Although other people have backed up this story, I had never seen evidence of the machine’s existence until a reader sent me the photo that is at the top of this article. There, in all its glory, is the Clackatron – captured in the chaotic few days after Barclays took over Lehman after its demise in 2008. I am proud to take this opportunity to show you a little piece of electromechanical FX history. We won’t see its like again.